Save an extra $11.17 when you apply this coupon. 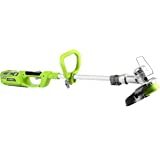 $11.17 extra savings coupon applied at checkout. 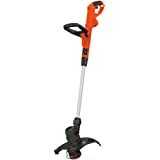 Remington Power Tools are engineered to be reliable and easy to use. 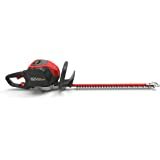 Our outdoor yard tools can take on any task – from minor tree trimming to whipping an overgrown yard into shape. Just like the first products sold almost a century ago, each tool built today is designed to be efficient, durable and deliver more than enough power for the job at hand. 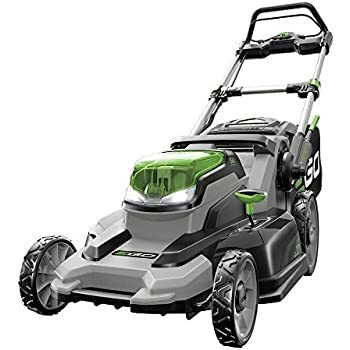 Clean up your lawn in no time with the Remington RM4060 40V 21-Inch Cordless Battery-Powered Push Lawn Mower with Electric Start. 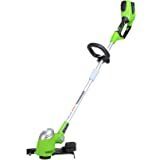 This walk-behind mower offers a wide 21-inch cutting deck to and dual-lever height adjustment with six cutting positions to adjust based on grass type. With an included charger, simply charge the battery in between uses for power — no more trips to get gas! 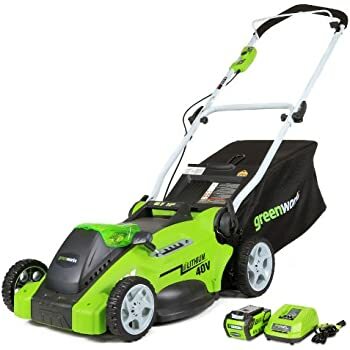 Featuring durable 7-inch front wheels and 11-inch rear wheels, you can rest assured that the sturdy mower can tackle uneven terrain. 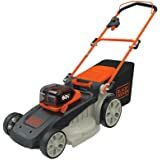 The Remington RM4060 40V Mower is one of the best for flat yards up to 1/4 acre. 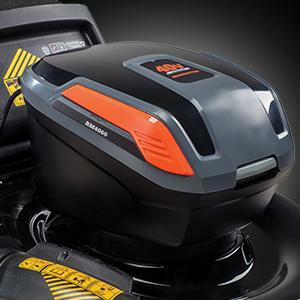 Battery powered engine to help tackle your yard jobs. 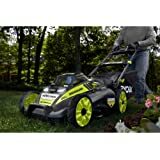 Tame your yard and then choose your weapon for managing the clippings: mulch, side-discharge or rear bagging. 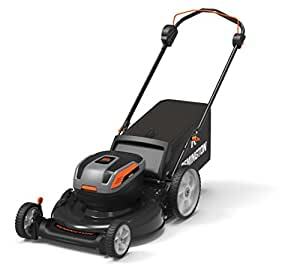 Clean up your lawn in no time with the Remington RM4060 40V 21-Inch Cordless Battery-Powered Push Lawn Mower with Electric Start. 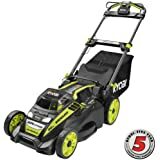 This walk-behind mower offers a wide 21-inch cutting deck to and dual-lever height adjustment with six cutting positions to adjust based on grass type. 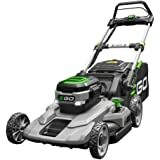 The unique battery power design gives you all the strength of a gas engine, but eliminates the mess and inconvenience. With an included charger, simply charge the battery in between uses for power — no more trips to get gas! 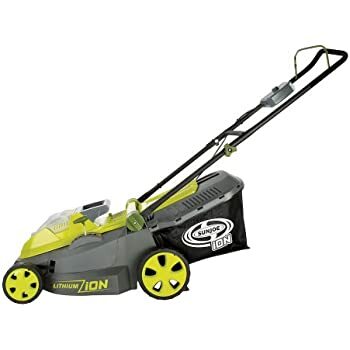 Tame your yard and then choose your weapon for managing the clippings: mulch, side-discharge or rear bagging. 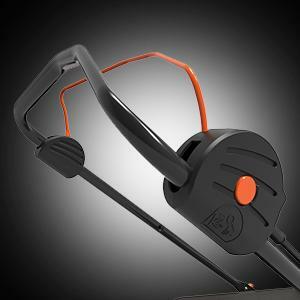 The adjustable handle assures that you can easily stand up straight while mowing, preventing hand and back pain. 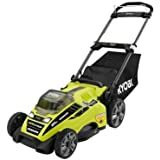 Featuring durable 7-inch front wheels and 11-inch rear wheels, you can rest assured that the sturdy mower can tackle uneven terrain. 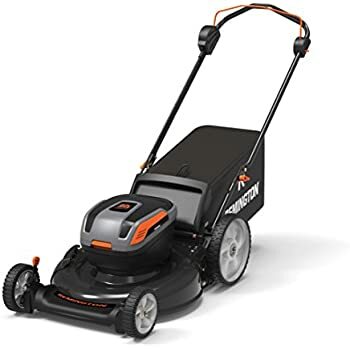 The mower includes a 3-year limited warranty to ensure your satisfaction. 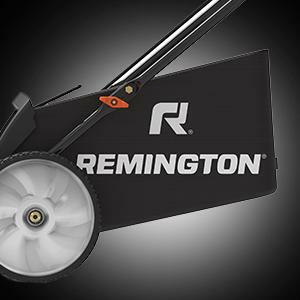 The Remington RM4060 40V Mower is best for flat yards up to 1/4 acre. 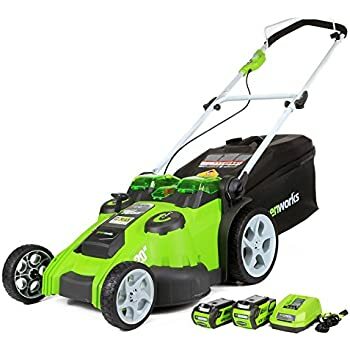 Measures 40"L x 24"W x 18"H.
The mower was strong for a battery powered machine. But when I let my grass get a bit too long, the Remington could not hack it--had to borrow my neighbor's gas machine. 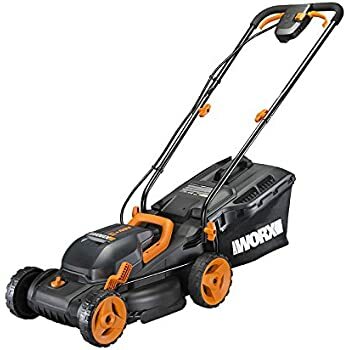 But once the lawn was short again, the Remington could do its thing. However, the overall build quality was quite mediocre. 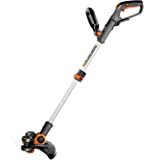 The whole unit felt fimsy, it flexes as you push. But it does work. 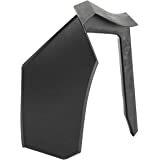 The worst part, however, was Remington and their complete lack of care for standing behind their product. Right out of the box, the unit was missing half of the handle assembly. I called Remington and they basically told me they didn't believe me and I was out of luck. I fabricated the part of the assembly that was missing, so I used the mower for many months before realizing it's just too weak in the power department for my taste. But the real deal-breaker is Remington the company. 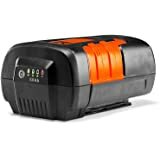 Think hard about buying an extended warranty through a third party if you go with this brand because Remington is not in the business of backing up their products.